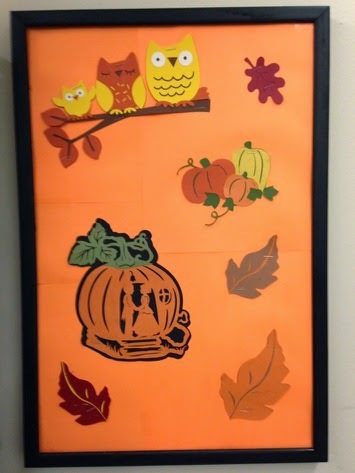 Megan made these cuts for a local hospital waiting room. She hopes that the fall colors may help the wait go a little faster. 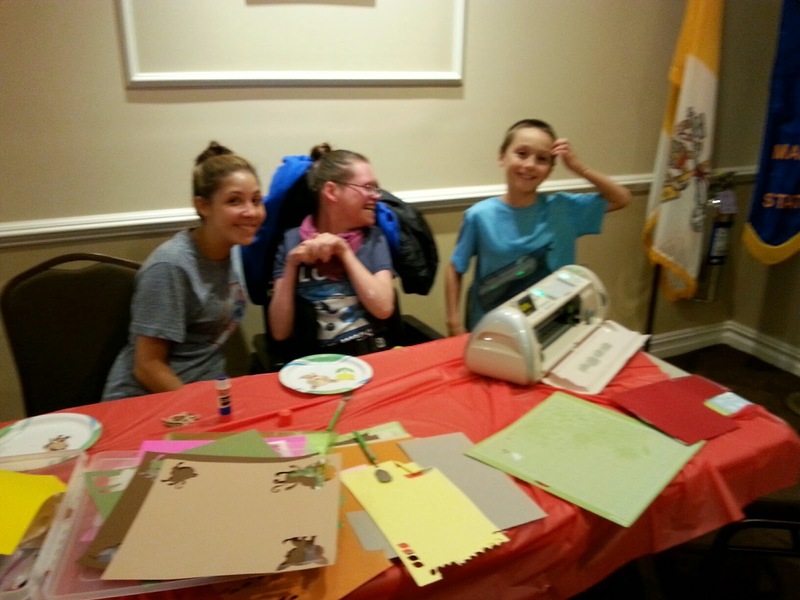 On August 15, 2014, the Manresa Columbiettes Council held a 'social night' where everyone was invited to come and make cards for Wounded Warrior Project. 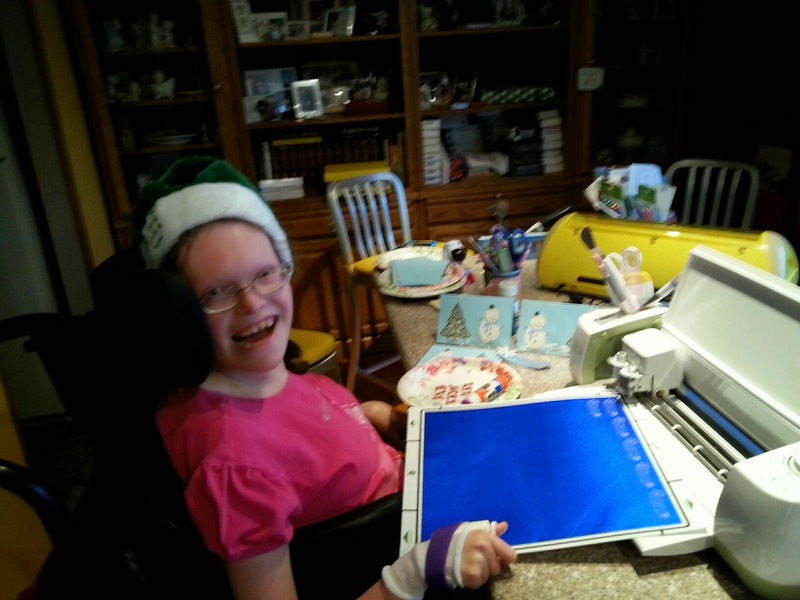 Megan spent weeks preparing and making Cricut 'cuts' for friends to glue on cards of encouragement. While the event was being held, Megan, Danielle, and Nicolas, and I continued to make more cuts. Megan made soldiers (everyday Paper dolls with camo clothes), puppies, kittens, monkeys, children playing pianos, and flowers. With just a few people on a warm summer night, we completed 135 cards!!!! It was a great night and we plan on doing it a few times a year. It was wonderful seeing the cards all turn out so differently- we brought lots of embellishments and how inspiring to see how creative people are. Every card was different. We glued, sang, and had a great time. Megan also brought the Expression and this old reliable machine kept turning out more cuts all night. 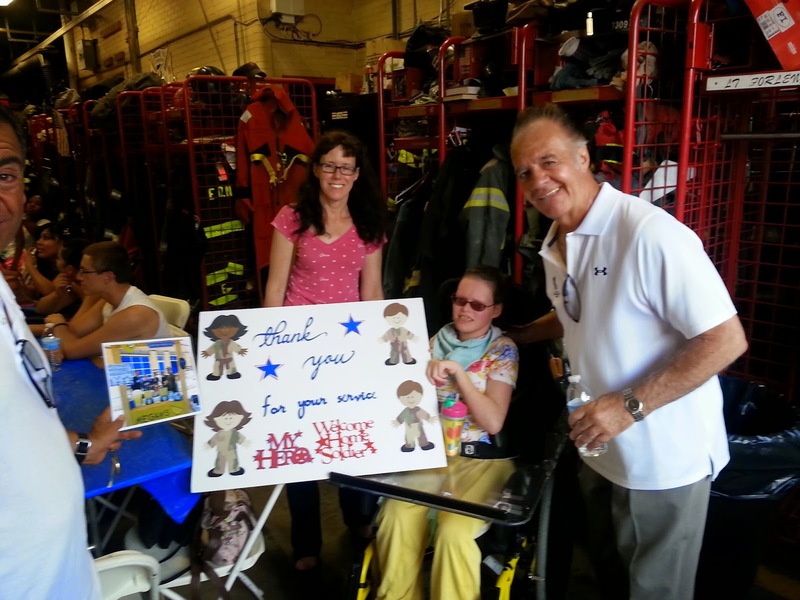 Megan made these cards for Wounded Warriors and they will be given out at Walter Reed Hospital. 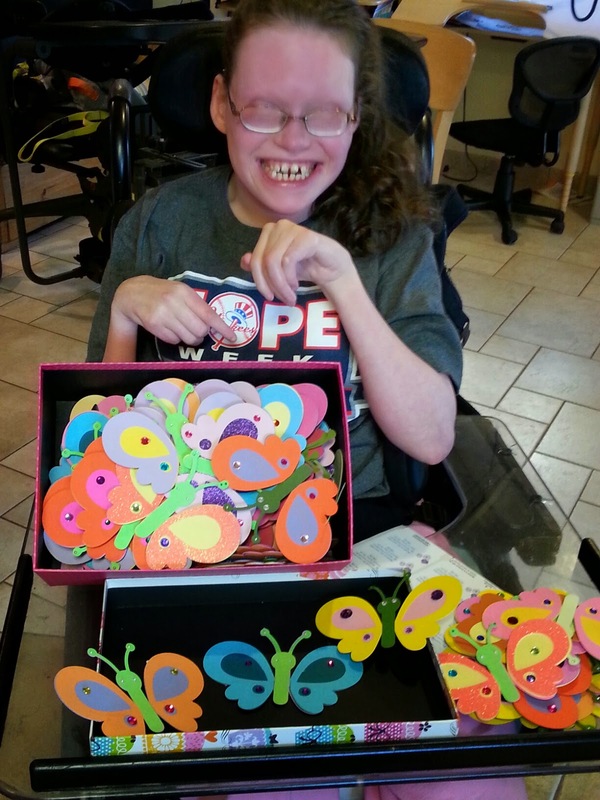 She has spent months making cards for the troops and only some are in this picture. Her annual lemonade stand for charity raised $6975 for the Wounded Warrior Project. 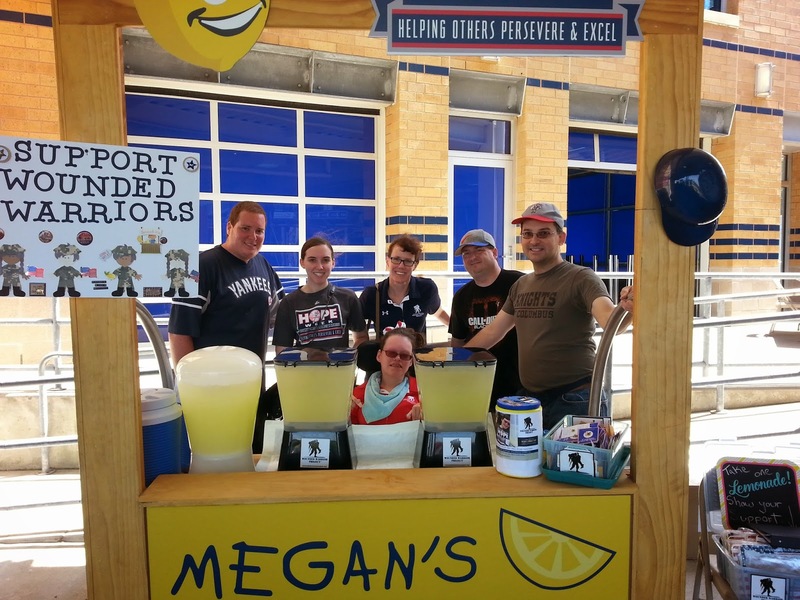 Since Megan was a New York Yankees HOPE week 2011 honoree and they made her the beautiful lemonade stand to continue her charity work, she was invited by the Staten Island Yankees to be at the Richmond County ballpark on Sunday, June 15. Thanks to the generous Staten Island Yankees, the New York Yankees and all of the generous people who supported this endeavor. We hope the Wounded Warrior Project can use these funds to continue their amazing work. Remember to always support our troops. Thank you all to those who have served, we owe you our gratitude. Children like Megan would never get the opportunities for education and medical care in some other countries, and we thank you for supporting and fighting for those rights that allow people like Megan to a decent life and to learn to help others in whatever way she can. Congratulations, Kumiko! Best wishes to the bride and groom! Megan made this card for a lovely young lady who was getting married in Japan. Although it is impossible to capture the bride's beauty, Megan attempted to portray the happy couple and thought cherry blossoms would complete the picture. Megan made this for a family friend, Declan. It is his first St. Patrick's Day! Enjoy!